The Valdichiana is the territory of origin of the Chianina breed, the biggest calf in the world. The male calves may pass 190 cm in height at the withers (“Bellino”, namely the bull exhibited in the episode of the “Show of Records” in Canale 5 in 2010, measured about 203 cm at the withers) and reach 1,700 kg of weight (the bull “Donetto” in 1955, at the age of eight, reached 1,750 kg). Don’t you believe us? Seeing is believing. 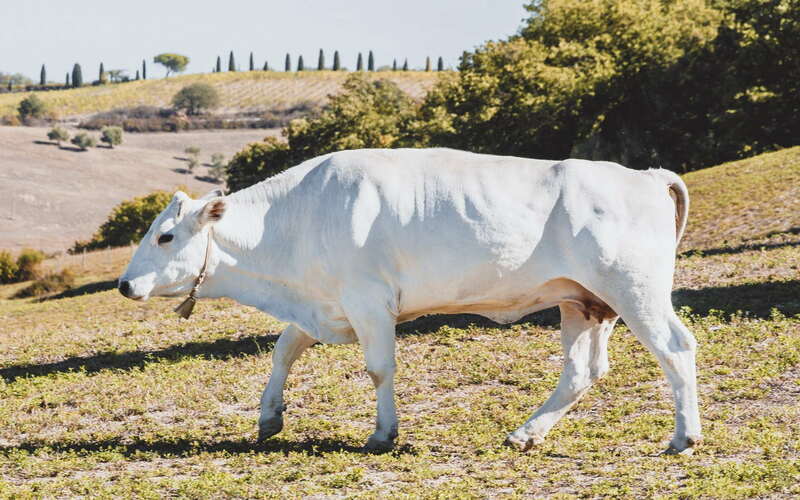 We will take you on a visit to a Chianina farm, where you will closely observe the beauty, the meekness and the grandeur of this magnificent animal with a white mantle. 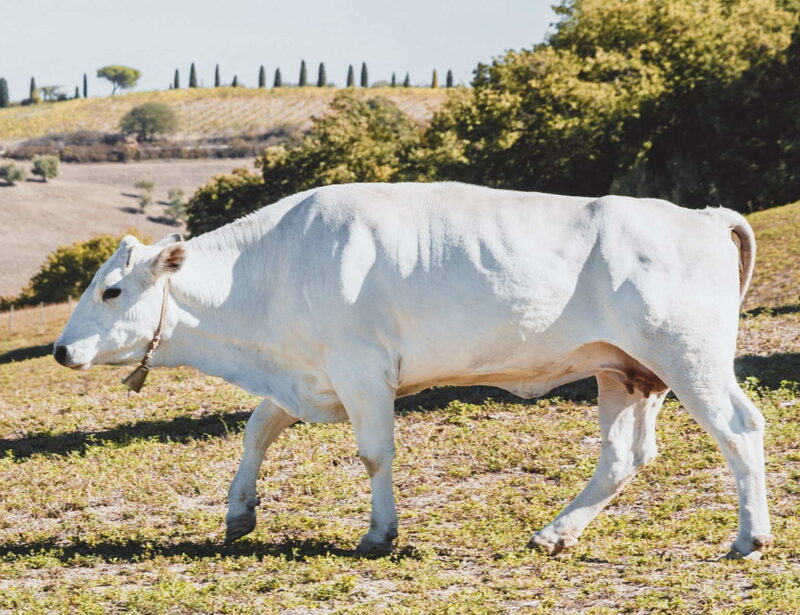 You will discover the history of the Chianina breed and its deep connection with this territory. Resistant, strong, tame, these beautiful animals have been the engine of agriculture in the Valdichiana before the arrival of agricultural machinery. Today their meat is considered one of the best in the world; the famous Florentine T-bone steak, for example, comes from the Chianina calves. After visiting the farm, you will taste the PGI Chianina meat in different versions, such as tartare, roastbeef, and carpaccio. Tasting-lunch featuring the renowned Chianina meat (Florentine T-bone steak available by request).